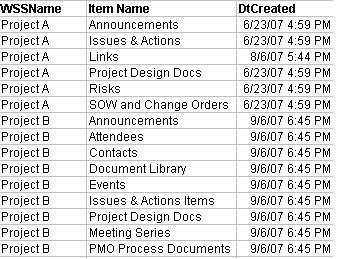 The following query displays all the WSS site names and associated items (Shared Documents, Document Library names. Contacts, custom created list names etc.) and date created.